4,000 Watts, 8,000 Kilowatt Hours, and over half of our annual Green River operation center’s total power use is being harvested quietly off the roof. As a kid in science class one of the first things I remember learning about was the POWER of the sun. The numbers like those above didn’t sink in much, but the idea that the sun was the primary force driving our world did. 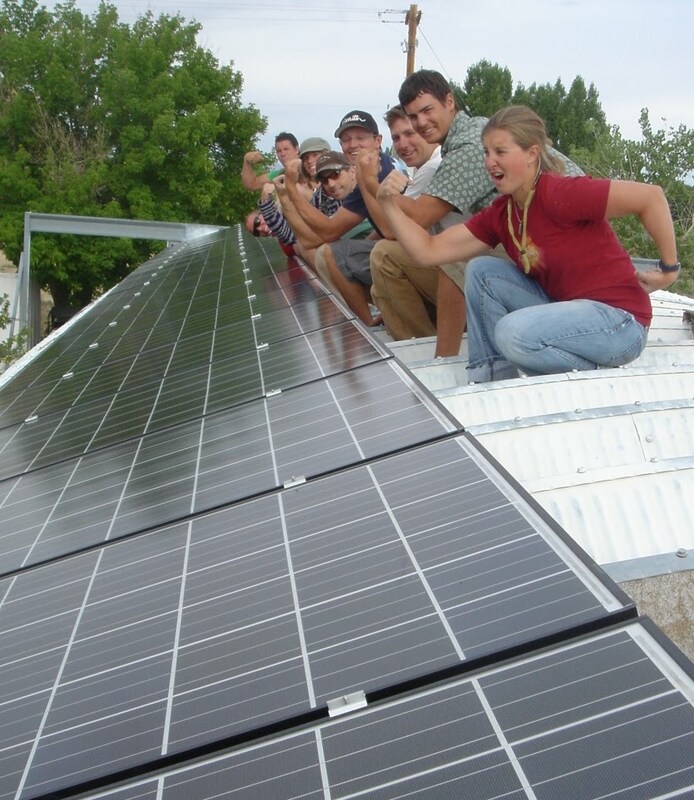 Harvesting the sun off the warehouse roof to make ice for a week-long rafting trip down the Colorado River is just one of the many ways our expeditions rely on the original sustainable energy source. By never using motors on our trips we tap into the solar driven weather cycle. Each winter it delivers snow high into the Colorado Rockies and then at the sun’s beck and call the snow comes flowing down the tributaries of the Colorado River. We just have to show up with oars and paddles and ride that life force through some of the most magical landscapes on the globe. At Holiday River Expeditions we are not waiting. By the time the power companies and politicians provide an answer the natural wonders of the Colorado Plateau that we are lucky enough to visit and share with our guests will be have been ruined.